The Maryland based male music artists rose to fame thanks to his stellar performances in the band Good Charlotte. He is also known for his clothing line ‘Made Clothing’ which houses all kinds of clothes for younger people. 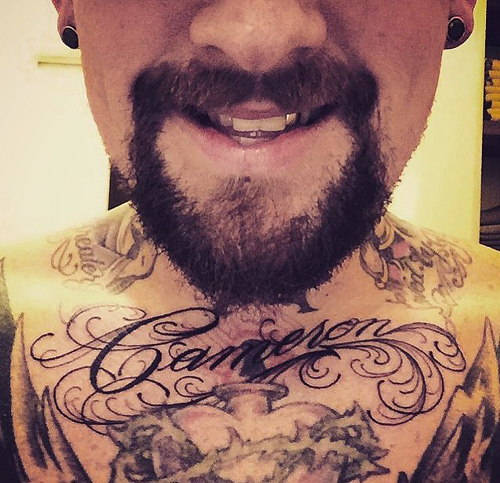 He has a chest tattoo to showcase his love for his wife Cameron Diaz. He and Cameron has been married for quite a long time and they have had a successful marriage. The tattoo covers most of his chest and her name is etched in a calligraphic design which shows us how much he loves his wife. 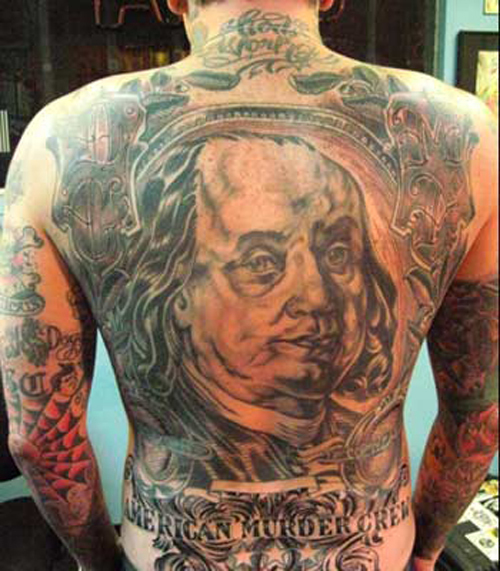 He is also known to be patriotic in nature and has a Benjamin Franklin tattoo on his back. He is a true to heart American and has great love for his country which is showcased through the back tattoo and he spend quite some time getting the tattoo created on his back which he proudly shows off at his gigs and shows with his band quite often. He looks great and gorgeous enough in these marvellous tattoos.